“Abraham Lincoln” is Benjamin Thomas’s 1952 classic and may have been the best single volume biography until Stephen Oates’s “With Malice Toward None” was published in 1977. Thomas’s biography was the first comprehensive one volume analysis of Lincoln’s life since Lord Charnwood’s 1917 biography of Lincoln. Thomas was a history professor and executive secretary of the Abraham Lincoln Association in Springfield. The author of a half-dozen other books, Thomas took his own life in 1956 after receiving a cancer diagnosis. Oldest of the five Lincoln biographies I’ve read so far, Thomas’s “Abraham Lincoln” has aged well. At just over five-hundred pages in length, this is not a brief read but it proves to be an enjoyable and almost effortless experience. Happily, this biography lacks page-long paragraphs of dense, academic text and yet still creates an impression of intellectual rigor. Thomas seems to approach his task more as a storyteller than a historian. 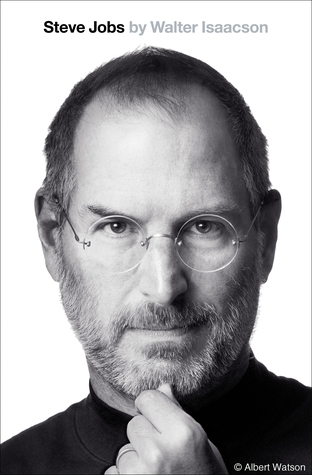 As a result, his writing style is unusually elegant, fluid, descriptive and engaging. Where another author might rush through the description of, for example, the dilapidated Illinois state capital building, Thomas lingers an extra moment in order to form a more vivid and lasting impression of the object in the reader’s mind. Relative to more recent biographies of Lincoln I’ve read, Thomas’s provides a far better comparison of the relative strengths and weaknesses of the North and the South as they headed to war. Coverage of Lincoln’s early life, while far from exhaustive, is among the clearest and easiest to follow of any Lincoln biography I’ve encountered. And Thomas’s description of Sherman’s heated march across the deep south, though too brief, was the most colorful and detailed of any account I’ve yet seen. 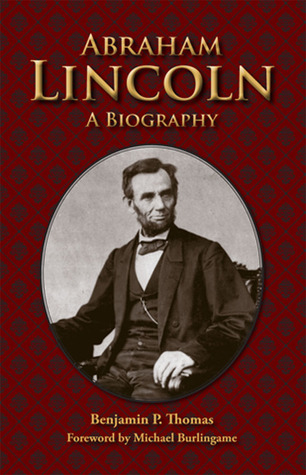 The final chapter of this biography is largely (but by no means exclusively) dedicated to the author’s observations of Lincoln’s service as president, his evolution as a politician and a discussion of the qualities that made him a great, if flawed, individual. Similar observations were liberally scattered throughout the book, but nowhere did they appear as thoughtfully and forcefully as in the book’s last pages. But Thomas is at his very best when describing the people whose lives intersected with Abraham Lincoln. He wonderfully reveals each character’s unique personality, physical attributes, strengths, flaws, eccentricities and relationship with Lincoln in a way I’ve not seen before. This is not only true of Lincoln’s friends, business partners and early advisers but also his political adversaries, military advisers and, notably, his cabinet members. Through these almost three-dimensional portraits of notables moving in his orbit, Lincoln’s world seems to come to life. For all its strengths, Thomas’s biography is not perfect. Coverage of Lincoln’s own family, although adequate, is fairly limited and Mary Lincoln’s foibles are only sporadically evidenced. The Civil War years are nicely summarized for a reader lacking deep knowledge of the conflict, but the fractious politics which engulfed the nation’s capital during those years often seem deemphasized in favor of focus on the latest military travail. In addition, Thomas dives less deeply into the complex politics of slavery and the evolution of Lincoln’s views than other biographers. His analysis is competent but not masterful or probing. In a similar vein, Thomas is rarely as penetrating a political scientist as other authors and often fails to pursue issues as completely as he might. Discussion of Lincoln’s cabinet selection was far less substantive (and more oversimplified) than I would have liked, and the biography was less effective than most others in portraying events such as the Lincoln-Douglas debates, the Republican convention and the presidential campaign of 1860. Overall, however, there is a great deal to like about Benjamin Thomas’s biography of Lincoln. Thomas is almost always able to smooth the rough edges of history and create an interesting, easily digested story without obfuscating history’s true course. Despite its age, this biography feels sprightly and light and is one of my favorite presidential biographies in the “50-and-over” category. Benjamin Thomas’s biography of our sixteenth president is undoubtedly an excellent choice for anyone seeking an engaging, informative, wonderfully vivid but still relatively thorough introduction to Lincoln’s life. I almost thought you were joking…until I looked up the book you mentioned and saw it for myself! It might not make the “official” list I’m reading through, but now I know what I’m asking for as Fathers’ Day approaches! !